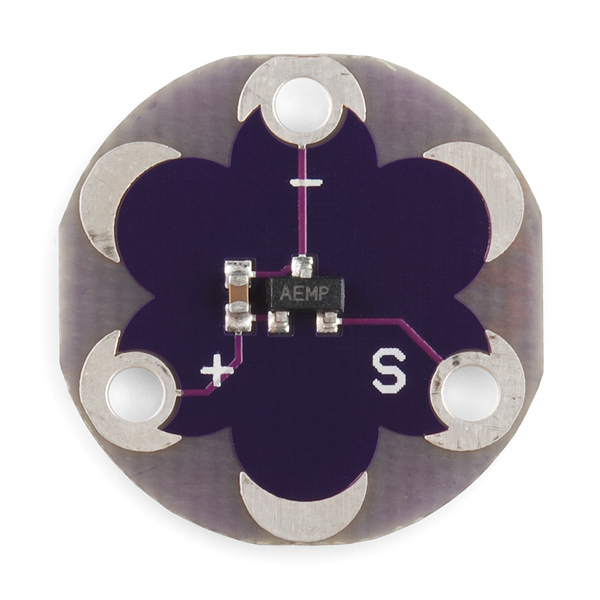 To use the temperature sensor, you would need to connect it to an analog input pin. You would also be using the analogRead() http://arduino.cc/en/Reference/AnalogRead. 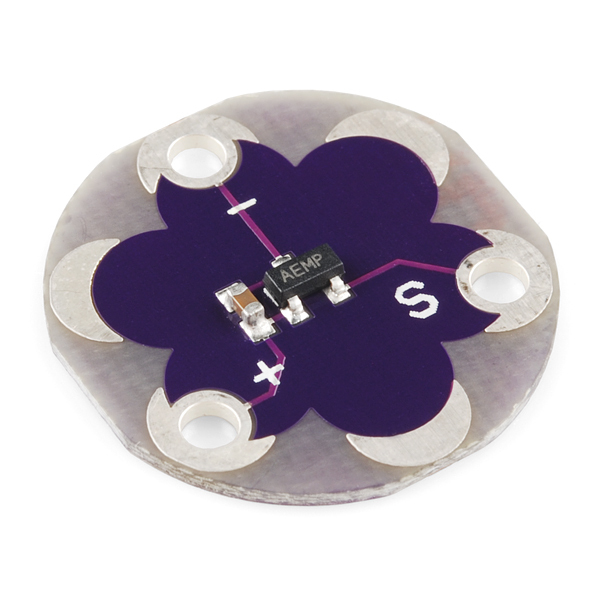 The LilyPad development board https://www.sparkfun.com/products/11262 uses the same temperature sensor. Could these be used to detect skin temp changes? i.e. flushing/hot flashes? Unless someone's skin temperature is changing by several degrees at a time, this is not going to be sensitive enough to give you really meaningful data. The sensitivity/accuracy of this thing is really bad, at least the one I received. Please provide a arduino code for this sensor that works. Still receiving an error with the "LilyPad Temp. Sensor Sticker Sheet PDF"... 8 months now? Probably should just kill off the document link entirely. Replying to myself... Oh no... But the link is gone now. Thanks! Especially since it is included in the All sheet. 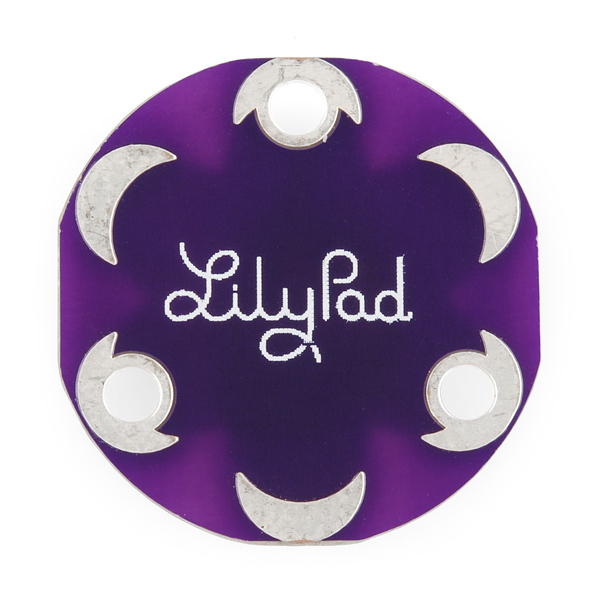 Has anyone had any luck downloading the "LilyPad Temp. 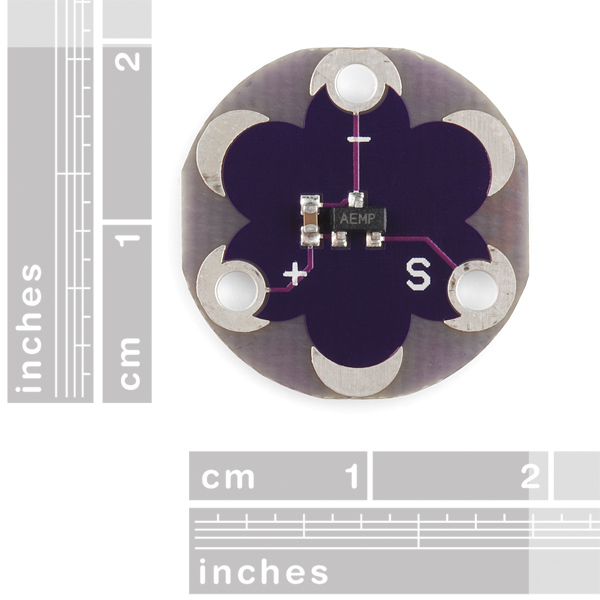 Sensor Sticker Sheet PDF"? Tried a few different times now and each time the file is reported as corrupted by Acrobat Reader. The "All" and other varieties of sticker sheets are working (buzzer, power, vibe, etc...). So want a lilypad heater to go with this :) Even if the power requirements were ridiculous. Is it possible to post the Eagles files for the MCP9700? Just kidding, it's included in the standard SparkFun library. Thanks for being one step ahead!